As school budgets continue to dwindle while enrollments soar, schools districts across the US turn to portable trailer classrooms as the default quick fix. In fact, the use of portable classrooms continues to grow at more than 20% every year. Scrambling for fast and inexpensive solutions, school boards typically perceive these portable classrooms as only temporary fixes. However, more often than not they turn out to be faulty long-term solutions that are failing to provide our children adequate learning environments. 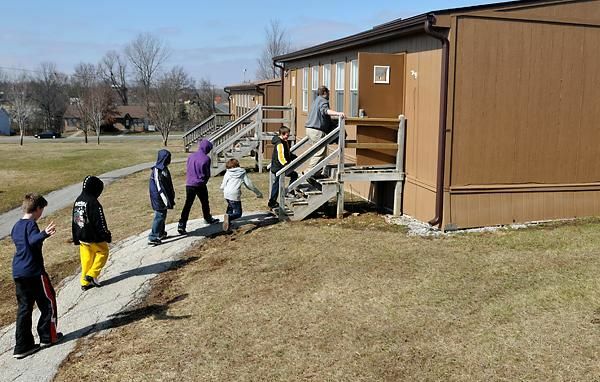 Many districts are finding that investing into cheap portable classrooms is backfiring in a number of ways, including increasing maintenance and repair costs of these substandard spaces and poor academic performance. As a result, some schools are looking for alternatives and successfully find them in high quality modular construction solutions, such as Sprout Space. 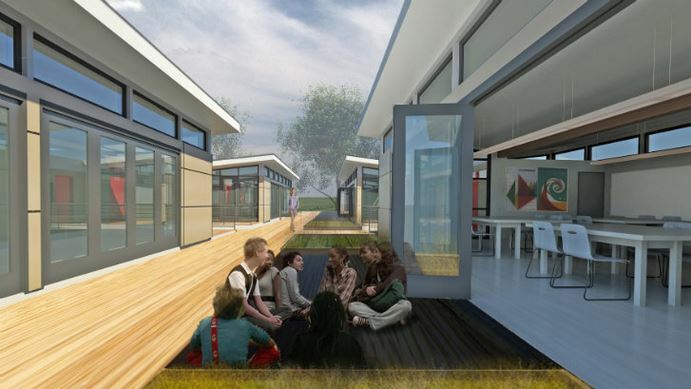 These innovative modular classrooms are a unique collaboration project between Triumph Modular (a leading Northeastern US provider of high-quality relocatable and permanent modular buildings) and Perkins+Will (a leading integrated design firm). Sprout Space classrooms provide superior solutions that challenge all preconceived notions of what a temporary educational space can offer in terms of a cost, design and functionality. Sprout Space combines affordable cost with state of the art architectural design, Eco-friendly construction, flexible and functional learning environment and the highest health, safety and energy conservation standards. This entry was posted in Sprout Space Classrooms and tagged Benefits of Sprout Space vs. classroom trailers, modular classrooms vs. old classroom trailers on by Modular Building Guru.